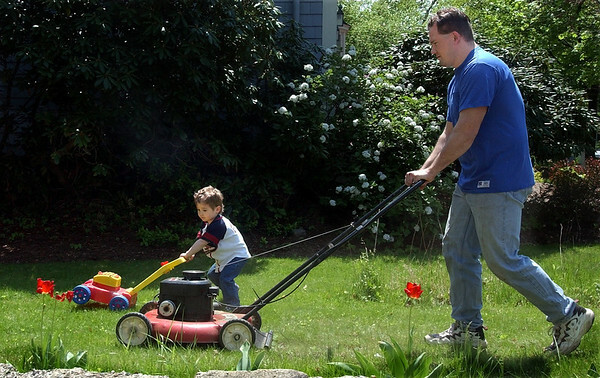 Danvers: Sean Kocur and his son Jonathan, 3, of Danvers mow the side lawn together. (Photo by Barbara Kennedy/Salem News). Monday, May 19, 2003 (NOTE: THIS IS A DIGITAL CAMERA IMAGE).